Well Established Laguna West Two-Story Home. 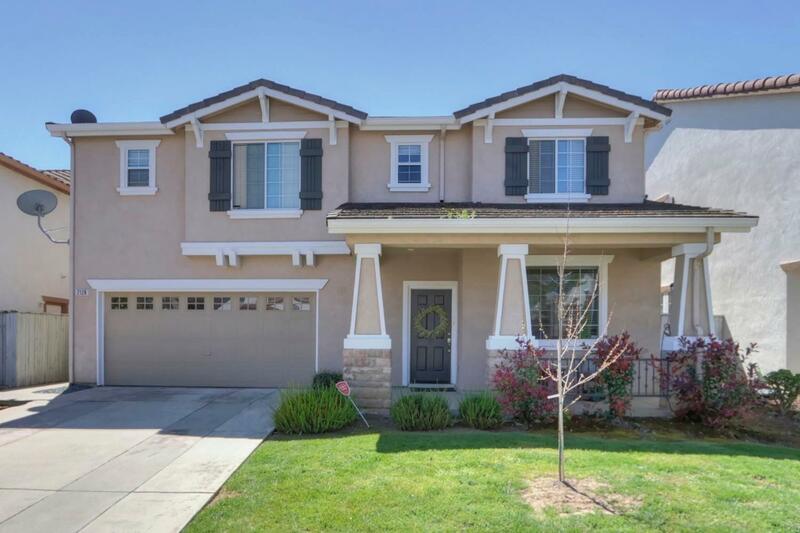 Spacious 4 Bedrooms, 2.5 Bathrooms, 2 Car Garages. Laminated Wood Floors in Entry Living-room, Dining Area, Separate Family-room with cozy Fireplace. Opens to Chef's Kitchen; Recess Lights, Pantry Closets, Tile Counter-Tops, Stainless Steel Appliances; Gas Range and Built-in Microwave Hood, Dishwasher with Breakfast Nook. Neutral Interior Paint Thru-out Home. Laminate Wood Flooring on Stairway to Upstairs Hallway. Neutral Soft Carpets in Bedrooms. Master-Suite with Double Doors, Ceiling Fan with Lights. Master Bathroom with Sunken Tub, Separate Shower Stall, Double Sinks and Tile Floors. Laundry Room with Shelving upstairs. Big Backyard, Great for Entertaining or Family BBQs with Large Concrete Patio, Grass Lawn, Planters with Variety of Fruit Trees. Close to Schools, Shopping Centers or Local Eateries. Move-In Ready Home, Won't Last Long!! !